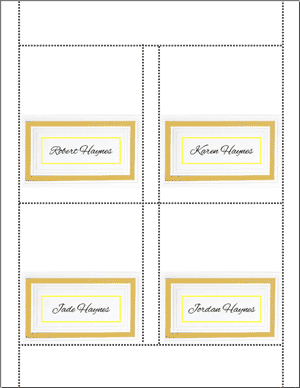 DIY wedding placecards are available in Word, Corel Draw, Publisher and InDesign formats. 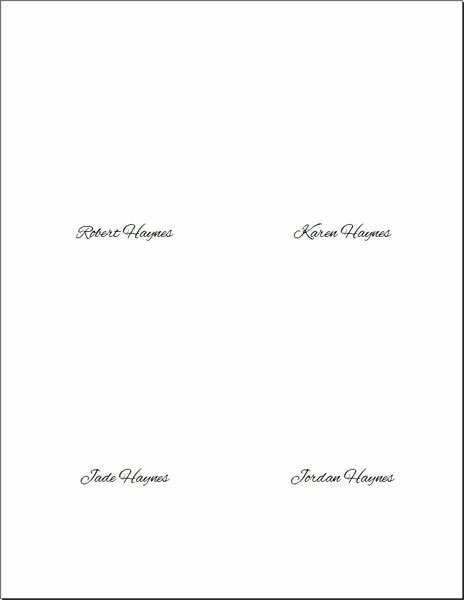 This template allows you to print your own placecards at home on pre-printed and perforated paper available online from a reputable paper dealer. Beautiful results, beautifully easy and affordable. 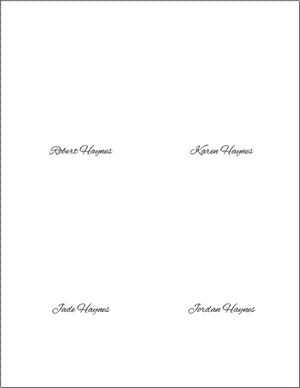 This template prints four-up and is available in 12 colors with embossed panels. Finished size of folded placecard is 2" x 3 1/2". The paper is 38 lb. card stock. 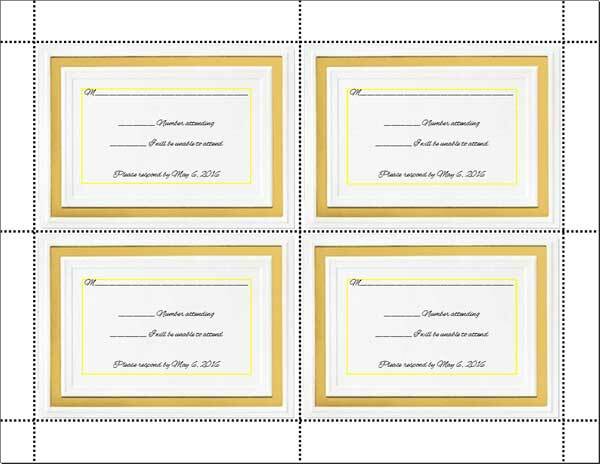 Several colors also have matching invitation cards, wedding menu cards, wedding program cards and response cards. 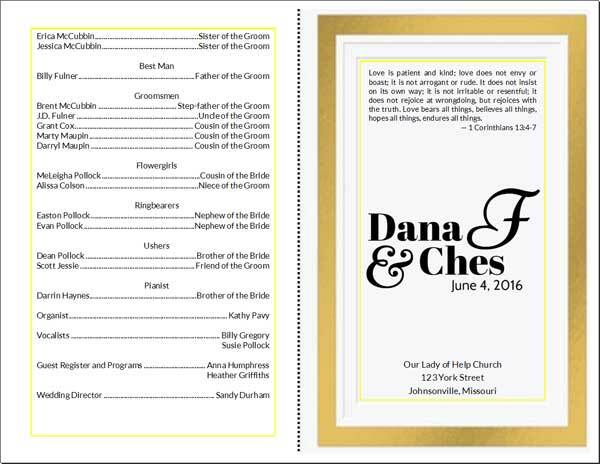 We also have matching templates for these items (links at bottom of page). If you have never used this type of paper before here's the process. 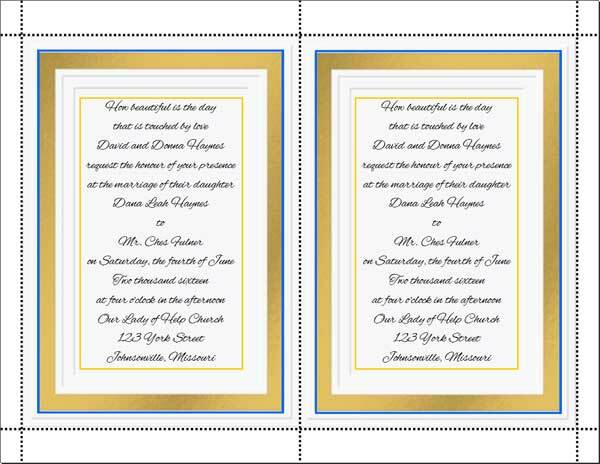 Complete your placecard design using by downloading the template. Make sure all elements of the design are contained within the yellow boxes. 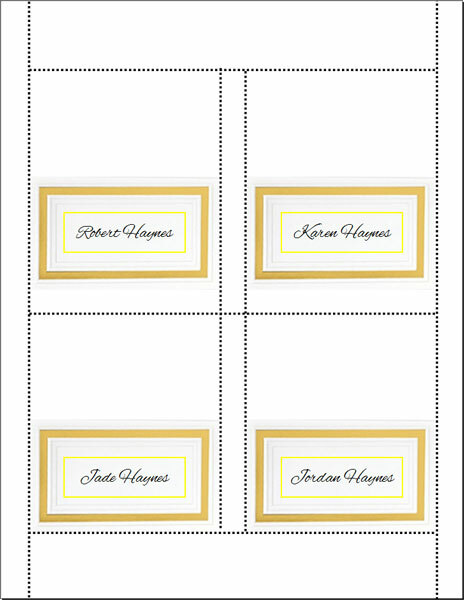 Since there are four copies per page, type a name or info within each yellow box. 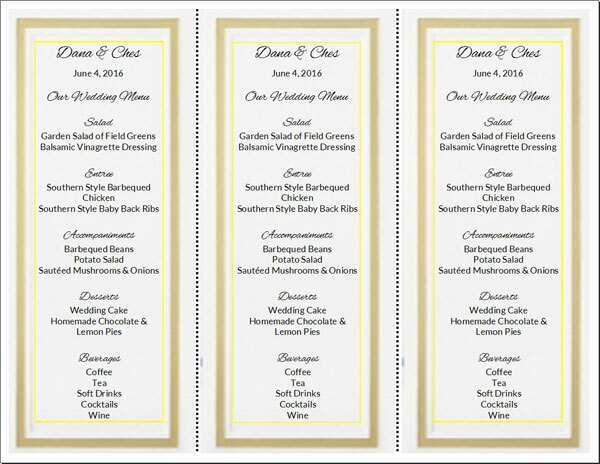 Fold at each perforation and separate all copies of placecards, fold on the score.